Whether you have a balcony, garden, or anything in between, My RSPB Nature Clipboard provides hours of fantastic activities and tips to transform your local area into a flourishing home for wildlife. Make bird and butterfly feeders, a minibeast hotel or a windowbox garden and become a fully-fledged nature detective. Use the spotter sheets to identify birds, insects, animal tracks and much more. Packed with lots of fun activities, My RSPB Nature Clipboard will wow nature-lovers and budding bird-watchers! 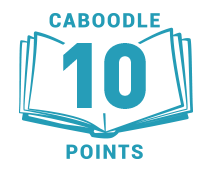 We have 10 copies of My RSPB Nature Clipboard up for grabs to encourage Caboodlers to explore the great outdoors. 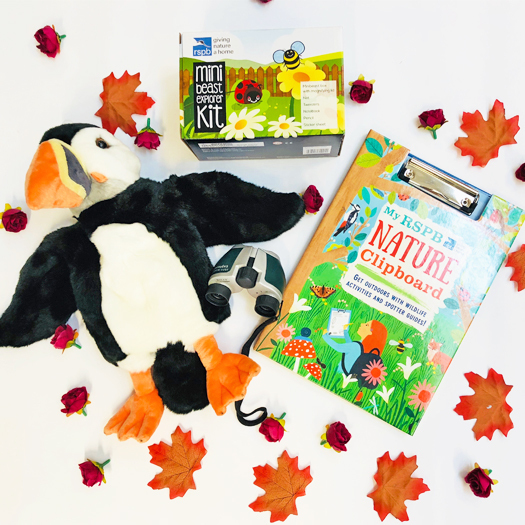 Plus one winner will get a special RSPB bundle including children's binoculars, a Minibeast Explorer Kit – perfect for introducing children to the wonders of watching wildlife – and a cute puffin hand puppet.